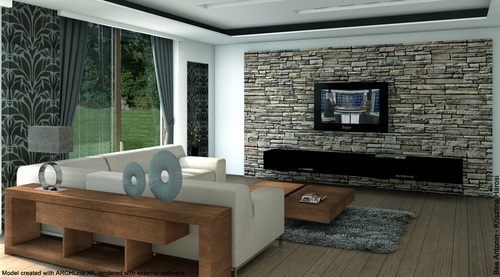 CadLine is proud to announce that the latest version of its cutting edge interior design CAD software "ARCHLine.XP Interior" is due for its UK release on March 16th 2011. With ARCHLine.XP Interior you can bring your design ideas to life in 3D and produce photo realistic imagery from the outset of your project, be this from a sketch idea or from more detailed 2D CAD designs. •	Virtual staging - which quickly and economically facilitates the illustration of the potential of an existing space or vacant property. •	Bespoke soft furnishing tools including blinds and awnings. •	A custom cabinet and door design feature. •	Easy conversion of 2D lines from .DWG format into fully interactive, editable and realistic 3D models.